Financial development is often expressed as a private sector initiative earmarked towards motivating economic growth and mitigating poverty. Nonetheless, the need for economic development accompanied by high industrialisation and commercialisation strategies has generated natural environmental effects which have raised enormous concern to green interest groups about whether all the seventeen sustainable development goals will be achieved. 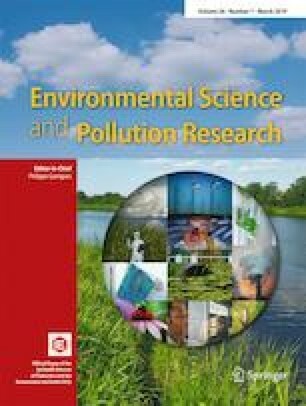 This paper investigated the environmental effects of financial development in OECD countries from 2001 to 2012 by employing static models and system GMM analysis. The study utilised foreign direct investments, domestic credit to private sector by banks and domestic credit to private sector as the three proxies of financial development. The effects of these measures of financial development were examined on carbon emissions and greenhouse gases (indicators of environmental quality) and environmental sustainability. In this setting, the findings of the research spotlight that domestic credit to private sector by banks shows a negative and significant relationship with carbon emissions, greenhouse gases and sustainability. Conversely, domestic credit to private sector and economic growth indicates a positive and statistically significant relationship with carbon emissions, greenhouse gases and sustainability. Foreign direct investment is positive and significantly connected with carbon emissions and sustainability but only shows a positive and not significant link with greenhouse gases. The evidence suggested by this analysis adds that the financial system should continue to add more initiatives which consider natural environmental perspectives in their current operations. This present study also confirms the existence of the environmental Kuznets curve (EKC) in carbon emissions (turning point, $109,820), total greenhouse gases (turning point, $74,280) and sustainability (turning point, $112,505). The finding that the turning point of carbon emissions is higher than that of total greenhouse gases indicates why introducing initiatives designed to curb growth of carbon emissions in the respective OECD economies is important.